All hail Gosha Rubchinskiy, the Moscow-dwelling designer who, via the free platform of Instagram, has built up a following of younger men across Europe. His aesthetic – Soviet Union influences (the bright yellow in his collection, he told us, is the yellow from the imperial Russian flag) meets 1980s sportswear and skateboarder style – is spreading fast. His friend, Denma Gvasalia who hails from Georgia, heads up the left-field Vetements label and has just taken over the reigns at Balenciaga. Another Russian friend, Lotta Volkova Adam, is the stylist for both brands. Backstage at Louis Vuitton, British designer Kim Jones noted the excitement around this group, and with Deutschland 83 one of the most stylish programmes on TV, 1980s eastern bloc dressing is having a moment. By which we mean the theatre was the venue of choice for many designers. Gosha Rubchinskiy showed his collection at Theatre des Bouffes du Nord on the day the current production rested. Designer Rei Kawakubo, one of fashion’s low key powerbrokers who has invested in Rubchinskiy’s label but who rarely ventures from the Comme des Garcons environs, sat front row. 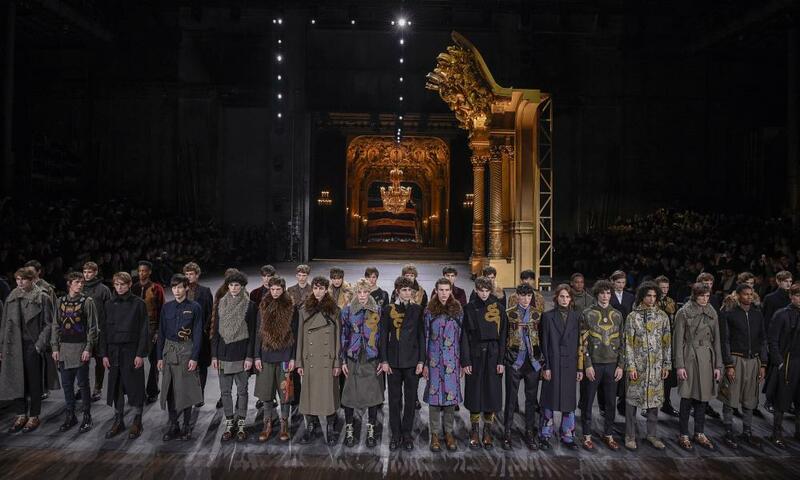 Meanwhile Dries Van Noten delighted a bunch of routinely jaded menswear journalists and buyers by seating them in the wings of the actual stage of the opulant Palais Garnier, home of the Paris Opera. At the end of the show the models lined up to take a bow together. You would think that this “cast bow” idea had happened before at one of the zillions of preceding shows. Maybe it had, but for most, this was an upbeat first. Fashion is so over skinny fit. The new size to flaunt is what Starbucks call the “Venti”. Way too big. 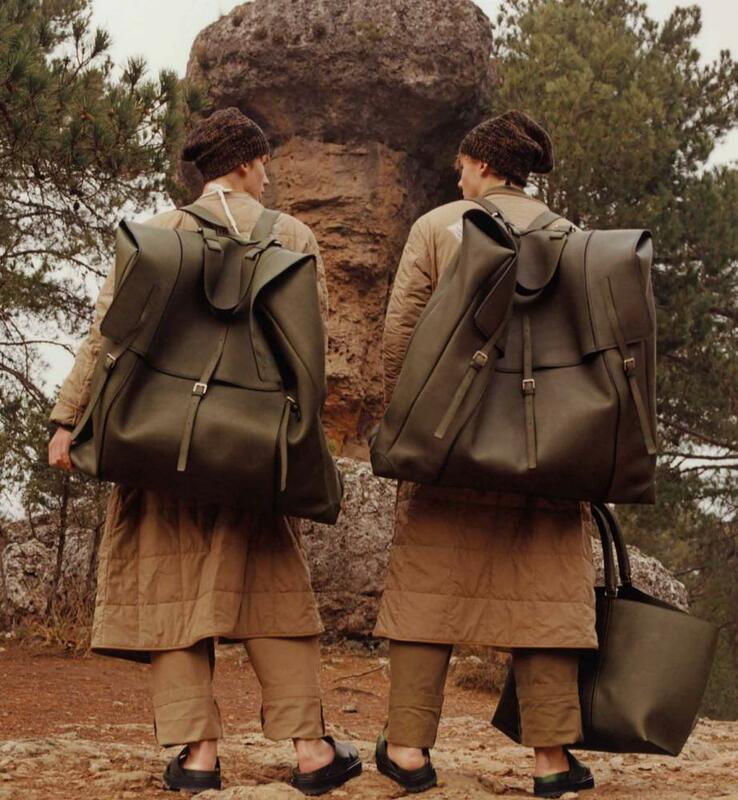 At Loewe, giant leather rucksacks hand painted with wild mushrooms, designed with effortless intelligence by Jonathan Anderson, dominated the fashion industry’s consciousness. The designer explained that scale was very much on his mind with this collection. 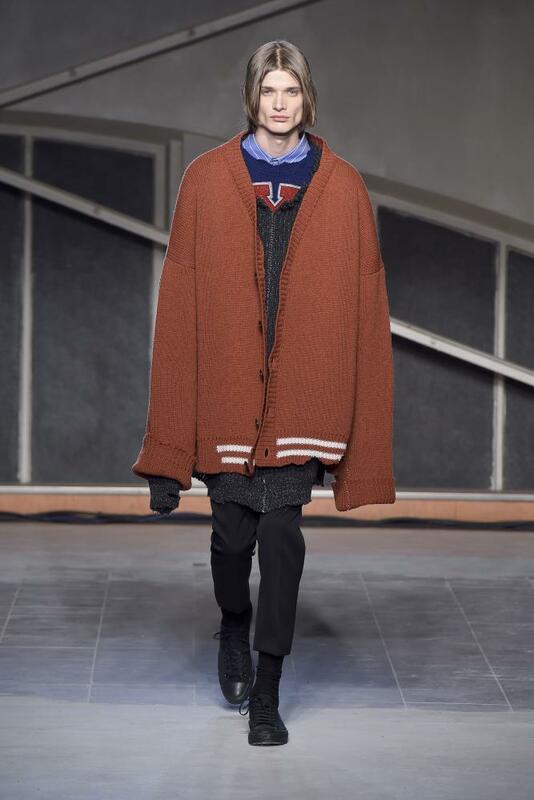 At industry favourite Raf Simons, giant cricket jumpers were designed to drown the models. Judging by the reaction to his show, this XXXL silhouette will filter down into real men’s wardrobes faster than you might think. What’s so weird about big and baggy? Blue hair at Gosha, long shower hair at Lanvin, slicked hair at Louis Vuitton, plaits at Yohji Yamamoto – finally hair is moving beyond the David Beckham repertoire. Most challenging were the black bowl cuts at influential brand Junya Watanabe. The question is: are men ready to take on the Inspiral Carpets Clint Boon cut again? Hmm. This season designers decreed that a bass-heavy soundtrack was not enough. Two catwalks featured conductors – at Kenzo one coaxed a choir on the catwalk to provide the live soundtrack to what the designers said was a celebration of music fans. Meanwhile Balmain’s catwalk featured harps, cellos et al, which made the upbeat collection of Mr Darcy meets Michael Jackson costumes seem even more silly … in a good way. At Raf Simons, the soundtrack began with a voiceover of composer Angelo Badalamenti talking about his collaboration with David Lynch on Twin Peaks. Yohji Yamamoto continued the theme, using chunks of dialogue and music from the film Stand By Me. Elsewhere, Joy Division, the Smiths and, predictably, David Bowie all mucked in to provide the music for other, less dramatic shows. Hedi Slimane is missing. 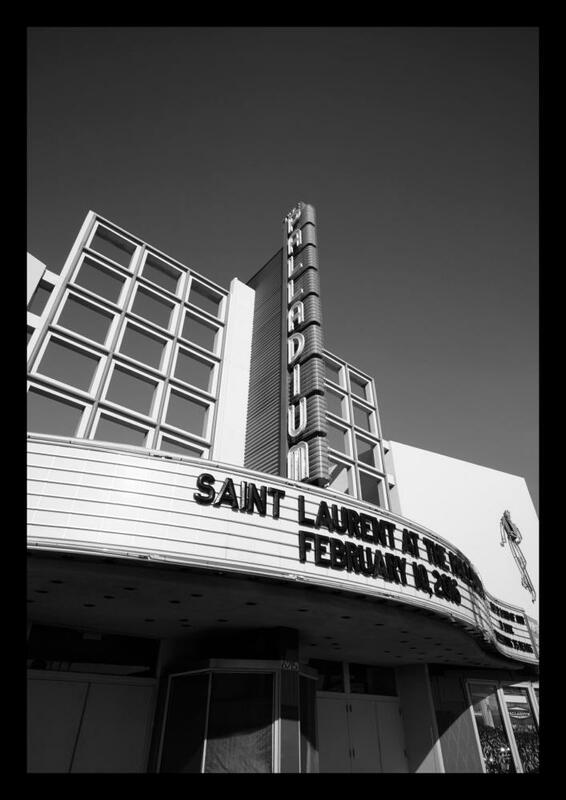 Nothing to do with persistent rumours that he will soon vacate the role of creative director at Saint Laurent. He’s abandoned his usual slot at the end of the menswear shows in Paris to do his own thing next month in LA, where he is based. 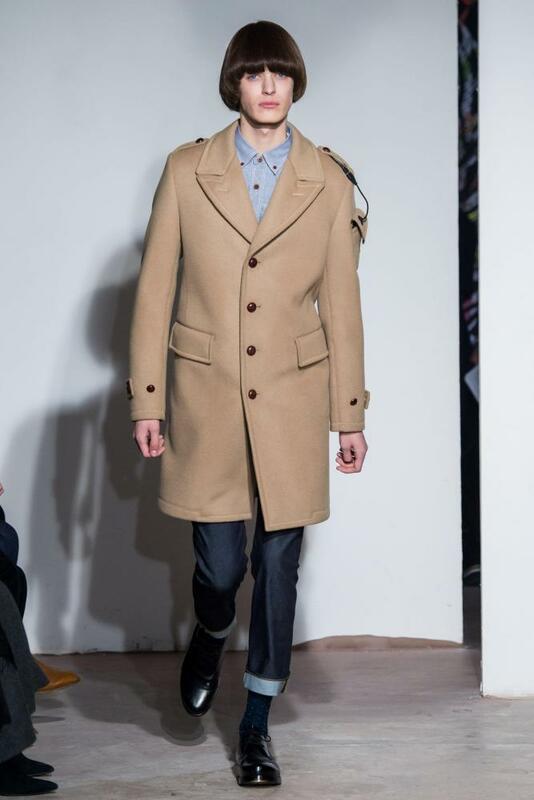 With one of the big gurus yet to show his hand, it feels as if menswear for winter 2016 is still a little tbc.